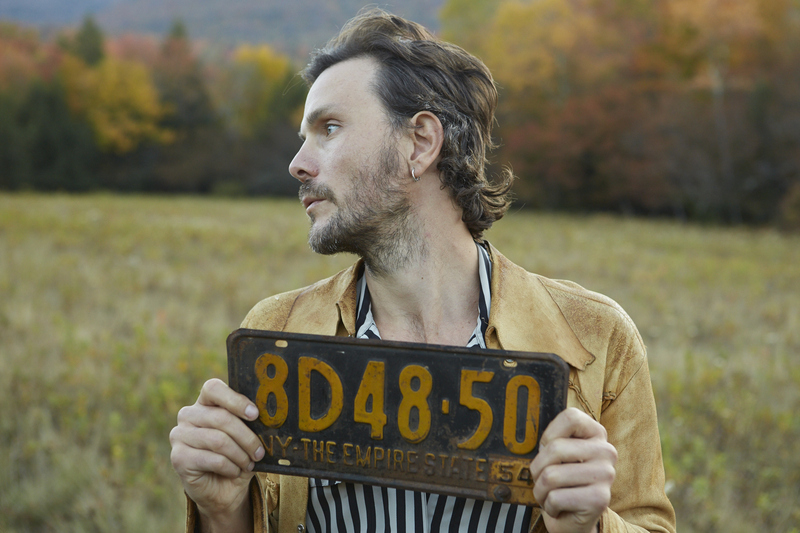 Simone Felice first turned heads in the band The Felice Brothers, who emerged from New York’s Catskill mountain region in 2006 to help kick start the current roots rock revival. In 2009, he struck out on his own, forming the duo The Duke and The King and putting out his first solo album. His second solo effort, Strangers, is out later this month. We talked to Felice about writing songs, loving Joni Mitchell, the music he makes with his daughter and more. Tell us a bit about your new album, Strangers. Strangers was recorded in a really raw and beautiful place, the end of a deadend road at the top of a mountain in Boiceville, New York, at my friend David Baron’s studio. He’s an amazing organist and string arranger, and we had a lot of great friends and family stopping in to lend their gifts. We worked all of September and October, peek autumn in the Catskills, beginning our sessions just after sunrise, I’d walk through the woods to the old house Jimi Hendrix occupied when he lived here in the late 60s, work out lyrics and melodies on those walks, commune with the ghosts. How would you compare it to your last album? Do you have any tricks you like to use in the studio? Lots of reverb? Candles? A certain kind of microphone you always use? I have a mechanical heart valve that weird science installed four years ago to save my life, so my biggest trick is trying to find a way to silence its ticking. We’ve tried many woolen sweaters, even a bullet proof vest, but if you listen carefully on songs like “The Best That Money Can Buy” you can still hear it ticking away. I suppose that’s a good thing. There are Civil War references in some of your songs and in The Felice Brothers’ songs. Are you a big Civil War buff? Yes. We are born in fire and blood. That’s always fascinated me. The thin line between violence and love. You have a lot of fans in the UK. What’s your experience been like over there? Its been a special feeling for me to be able to travel the same roads and sing my songs in the shadow of British and Celtic traditional music, which has been a major influence on my work, as well artists like Pink Floyd, Nick Drake, Sandy Denny, and The Pogues. Joni Mitchell. Ray Davies. Townes Van Zandt. Nick Drake. Bob Dylan. Sandy Denny. Pink Floyd. Carrol King. Neil Young. Ian Curtis. Lucinda Williams. Leonard Cohen. The Beatles. What were your earliest songs like? how would you describe them? Appallingly bad. Groping in the dark. How did you learn how to play the guitar? I learned some chords from my brothers and friends, mainly – in the begging – so that I could put my poetry to music and melody. I still love picking up new ways of playing chords, rhythms, always learning, still a hack . . .
How often do you play for fun, just for yourself? What sort of stuff do you play when you do? I play “marching band” with my three year old daughter. She leads and plays the drum and I usually play the tin whistle. I take very long walks, babble to myself and sing gibberish like an escapee from the mental ward. Usually just after dawn. If it’s a good morning, which very few are, the babble turns to gold, or at least bronze . . . The last song “The Gallows. “It was written in something close to a state of grace, which rarely happens for me. Both. You have a higher bar to meet, but hopefully you are in a more deft possession of your craft. I love the word pitiless. As in, the pitiless sea . . .
-Jimi Hendrix. Folks usually, and rightly so, think of him as a guitar God. But there was a major poet hiding behind the Stratocaster. What do you consider to be the perfect song, and why? Joni Mitchell’s “Little Green.” The level of vulnerability she shows us is staggering, but it’s vulnerability with a hint of defiance aimed at those who might judge, you know — a love song to the infant child she chose to give away. Like so much of her greatest work, she turns sorrow into something beautiful, a healing force.This song came on the stereo one time out on the road, it was silent and snowing hard and I looked over at my buddy/driver Jack (a very stoic Welshman) and he was weeping openly there on the dark highway somewhere in Norway.